I carried it face down while it registered, afraid to look. Afraid the answer was NO. I waited for multiple eternities before finally making the flip. And time absolutely stood in a parenthesis of complete silence when I saw the word PREGNANT in the digital window of the little blue stick. My entire body exploded in celebration of the little bean who I was already madly in love with. It's still one of the best memories I have forever stored away in the memory chest in my mind. Greyson was 14 months old and it was all coming together, my future, my present. My Life. I realized Greyson had autism when Parker was 4 month old. One day I just knew. And after that first instant of realization, I spent so many nights awake, staring at the ceiling in agony. Alternating between numbness and pain. By the time morning came around I was relieved for daylight and exhausted. And it came like a Tsunami out of nowhere, my first thought about Parker. Please God, no, not Parker too. Certainly not possible. Right? Not two in the same family. With hands forcefully shaking I could barely type out the words. I asked Google. The risk of autism in the general population is 1 in 88. 1 in 54 boys and 1 in 252 girls have been identified as having an ASD(Autism Spectrum Disorder) according to the Center for Disease Control and Prevention. Siblings of a child with autism have a 1 in 5, or 20 percent chance of developing an ASD. And I didn't think my pain could get any deeper after the realization that Greyson had autism, but it did. It found a new level to burrow deep down into myself. There was so much to do for Greyson, and it took so much energy that I already didn't have. I walked around aching from sad, barely able to function. Parker's odds of having Super Powers were greatly increased, but I made a choice then that I wouldn't focus on it until I had to. Greyson needed me to fully be present. And after all, there was an 80% chance that Parker wouldn't be autistic, so I focused on that. Loving is a pledge you make with your heart that you are willing to risk any amount of pain. It's a willingness to love anyway. I remember one morning hearing Parker crying more intensely than usual in his crib. I was concerned. I burst into his room to see his face wet with tears and red from crying. I grabbed his little body and held him close. He held me back too- so tightly, and in an instant he stopped crying and I started. I realized I need Parker as much as he needed me. I also realized that I would be okay with anything, no matter what the future brought. Today I opened an email that brought me back to all of these memories. In all honesty (and from the deepest part of my soul), I wanted to ask you why. Why would you have another child after having one with Autism. I wanted to say, "why would you risk that again" and risk having another, knowing the risk was high? I suppose that was just me being negative and angry over all the people whom selfishly continue to their purposes knowing what the outcome would be. But at the same time, I am not in your shoes. I want so badly to say it was selfish, but yet I understand the love we can have, and the second chances we hope for. I'm glad I didn't know that Greyson had autism before I tried to get pregnant again. 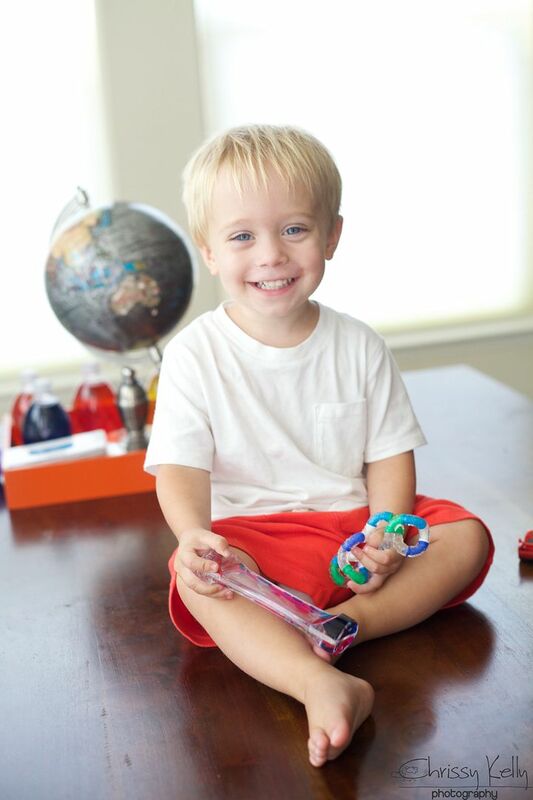 I know with absolute certainty that Parker was all part of God's brilliant and perfect plan for me. 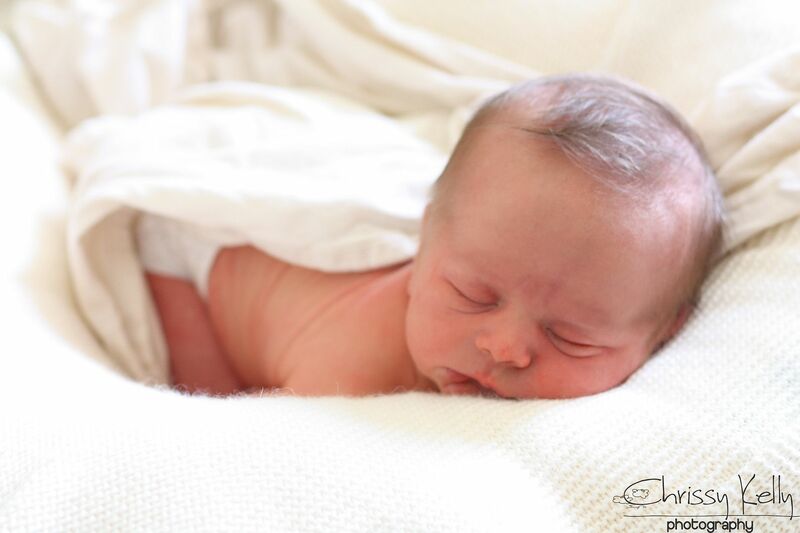 If I had a choice from all the brand new babies in the world, I would pick Parker over and over again. And I know that's something some parents of children with autism have struggled with. Knowing what I know, should I have another? And that is a decision that must be made between a Mom and Dad and God. I think whatever decision is made is the right one for that family. There's no one size fits all. I think it's dangerous to judge other people's choices. I think it's also a huge and sad assumption to assume that a child who isn't perfect can not be the brightest light and most welcomed blessing into a family and into the world. And although they are not words I would have put out in the Universe, I do not judge the Mother who wrote this email. I am sending her love right now through these words. I feel sad that perhaps somewhere along the way, she may have been taught that she is unlovable because she is imperfect. The brilliant Martin Luther King's words speak to me in ways I never knew possible. Darkness cannot drive out darkness; only light can do that. Hate cannot drive out hate; only love can do that. And so I choose to love, even when it's hard. And I choose to change the world for Parker and everyone that needs it. I don't want to live in a world without my Doodle. I have a dream that children with super powers will be accepted, loved and understood by everyone. Today I realized that changing the world is hard but very important work. This woman has children, and one day all of our children together will be the grown ups of the world. I must pave the world for my sons and anyone given a label of different. And so I continue to write and put my heart and my family out there. I have a confession to make. I am so flawed. Ridiculously, outrageously, imperfectly, fabulously and amazingly screwed up and flawed. Isn't that awesome? How boring would life be if we were just all different variations of perfect? Your children are beautiful and perfect just the way they are!!! Love your writing...gives me hope and love every single day! Thanks for being you!!! 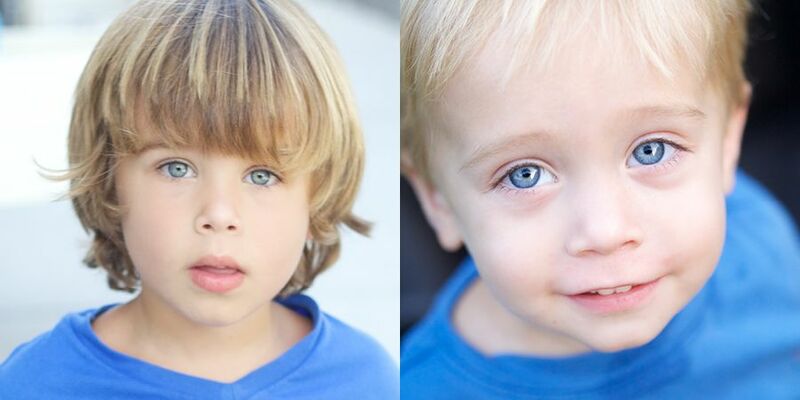 My gosh, your babies have the most beautiful eyes. Thanks for writing! Wonderful post. As a mom of two children with Aspergers (ages 14 and 7) and three other children ages 13, 11, and 5), I more often get questioned as to why I would have so many children knowing I could pass down my Psoriatic Arthritis (a debilitating form of autoimmune arthritis) than my kids' increased chances of also being on the spectrum. I didn't get my psoriatic arthritis diagnosis until I was done having kids, and I'm not sure what I'd have done if I'd known. What I do know is that each of my children is a gift from God and their lives are not a mistake. I've read your whole blog and this is one of my favorite posts of yours. You are imperfectly perfect and I kind of love you! I'm not sure why I continue to be shocked at how some people can be so rude and insensitive. I know, I know. Everyone has flaws. 1. You've had 4 miscarriages, why would you want to continue to try and have a child? 2. Your daughter was born with Down Syndrome, why would you want to have another? 3. Your husband died, why would you ever want to get married again? 4. You threw up after eating that deliciously rich double fudge cheesecake, why would you ever eat that again? 5. You got stung by a bee when you were gardening, why would you ever want to go outside again? 6. You sneezed after you smelled those roses, why would you ever smell flowers again? 7. You fell down the stairs and sprained your ankle, why would you ever want to go down the steps again? On a more serious note, your children are beautiful and your photography skills capture that not only on the outside, but on the inside too. You are an amazing writer and I love how you refer to your boys having super powers...because that is truly what they have. Your boys are georgeous and perfect just the way they are. I love, love, love this post. Thanks for being real and honest. I have read your blog every day since it was brought to my attention. I seriously have learned so much from reading it and your photography is absolutely beautiful as well as your children. One of my favorite blogs was about Frank the trash man and Greyson. Beautiful story! Keep on writing and photographing - we all need to continue to read and continue to learn from you. Oh friend! I'm sorry but this one makes me angry. Who sends an e-mail to someone that basically says their son shouldn't have been born?! What is wrong with people?! I, too, do not want to live in a world with no Parker Doodle. Thank you that we don't have to & for sharing him with us. I can only hope that the kind words you receive outweigh the ones like hers. I just love your writing. It's truthful and beautiful and I just love it. Beautiful! You have a wonderful family. God knew what he was doing when he sent you Grayson and Parker!!! I believe you will change the world, if it is only one word at a time. Thank you for your inspiration! "Loving is a pledge you make with your heart that you are willing to risk any amount of pain. It's a willingness to love anyway." If we think or feel that way - that a child born with autism or Down Syndrome or any other difficulty is not worth having, not worth being born... we are telling others, our children, ourselves that that child's life isn't as valuable as a "normal" child's. How incredibly sad and ignorant. I am so grateful for the opportunity to love others - even your little boys through this window of your world that you so kindly share with us. I feel so excited when I hear of someone I know who is pregnant. Even if the situation isn't ideal (broken home, birth defects, etc.) - it's another person to love. 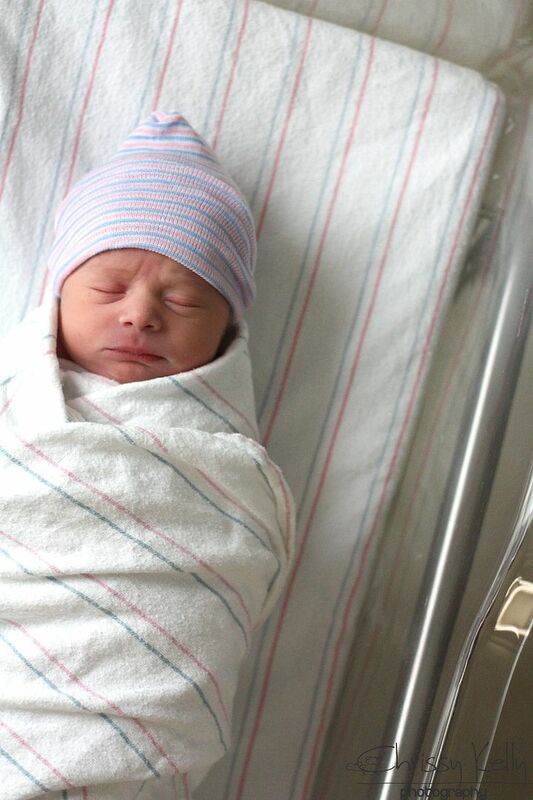 It's another unique, beautiful soul coming into this world who deserves to be wrapped in love and hugs and hearty "Welcome to the world, baby!" - in all their imperfections. And you never, ever know the difference they can make in the world. In 1 person's life. I think the fear that "this could happen to me" drives some of these reactions. The conviction that you would make different choices, were you in this other person's shoes, and therefore this could never possibly happen to you (e.g. having two children with autism, in your case). But the fact is, no one has a perfect child, and no one can guarentee anything in life. My 2 year old daughter has a rare syndrome which is likely genetic. She's had four surgeries and spent over 35 nights in the hospital so far. But she is amazing at catching people's attention and drawing them in, despite her physical differences. She literally wraps people around her little finger and they will do anything for her. 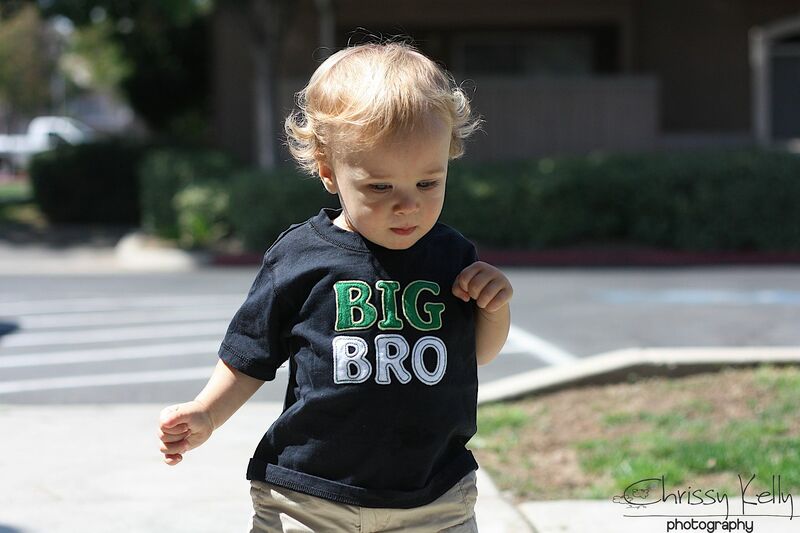 I also have a 4 yo son without health issues (side note - we had the exact same Big Brother shirt that Greyson is wearing above for announcing the pregnancy with my daughter :), but somehow, I still did not feel like my family was complete. Now, I'm 14 weeks pregnant with #3. This one has somewhere between a 3-50% risk of having something similar to what my daughter has. Ironically, we didn't making a choice in this pregnancy (1 in 1000 chance of pregnancy on my birth control, and somehow, it happened anyway). I am not religious, but it does feel like "life" somehow, made a decision for us. I know, no matter what, this little one will be loved. My mother has a form of muscular dystrophy that is degenerative. She was diagnosed when I was in high school, but did not tell me or my sisters about it until I was in college. It is a dominant gene disease and therefore, mayself and my two sisters have a 50% chance of having the disease. She also told me that if she had known she had this disease she probably would not have had children. (she watched her dad and all of his siblings suffer through their later years with the disease). So, if she had known at the time that she was not "perfect", I would not be on this earth. Wow. That's a weird thing to think about. My sisters would not be on this earth and my three beautiful chilren would not be on this earth. I was tested for the disease after my first daughter was born and do not have it (like winning the genetic lottery), but I wonder what I would have chosen if I did - would I have had more children? I think God has a plan for us all and none of us are "perfect" even if our genes, etc. are. Our world would be a boring place without all of the "imperfect" people that make it up. Your boys are beautiful. God bless you for bringing this blog to the world and sharing their lives and yourself. It's beautiful. Thank you for your blog. I, too, have a Grayson who has been diagnosed with autism. It's comforting to know I'm not alone because sometimes I feel terribly alone. I know it can't be easy to put yourself out there like you do, but this is from a mom who is greatly strengthened by your thoughts and stories. Bless you and your boys.